St. Thomas Aquinas has its own cemetery located just a short distance from our parish at 920 Hastings Avenue in St. Paul Park. St. Thomas has a number of grave lots in addition to three columbariums for the above ground burial of cremains. All work at our cemetery is done by parish employees. 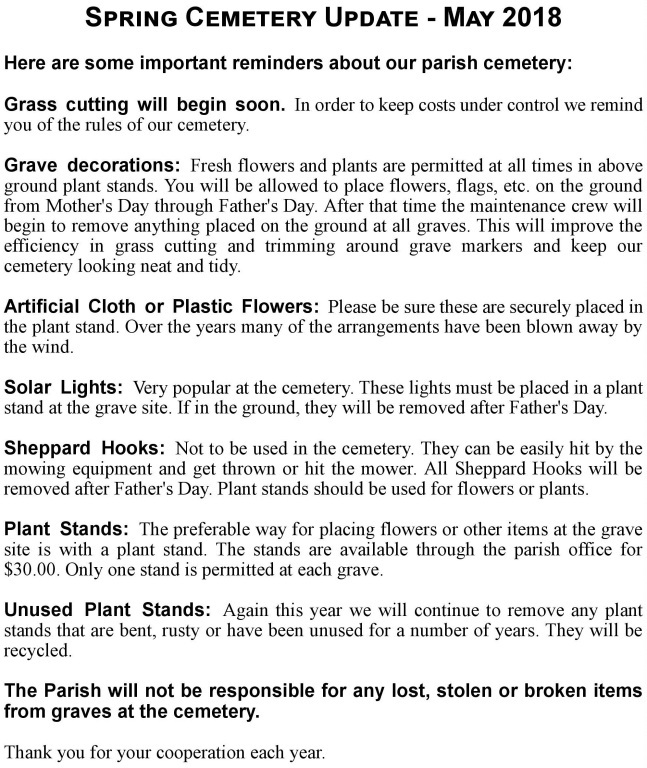 For more information you can click here to read our cemetery brochure, or call our parish office at 651-459-2131. Cemetery Spring Cleaning! 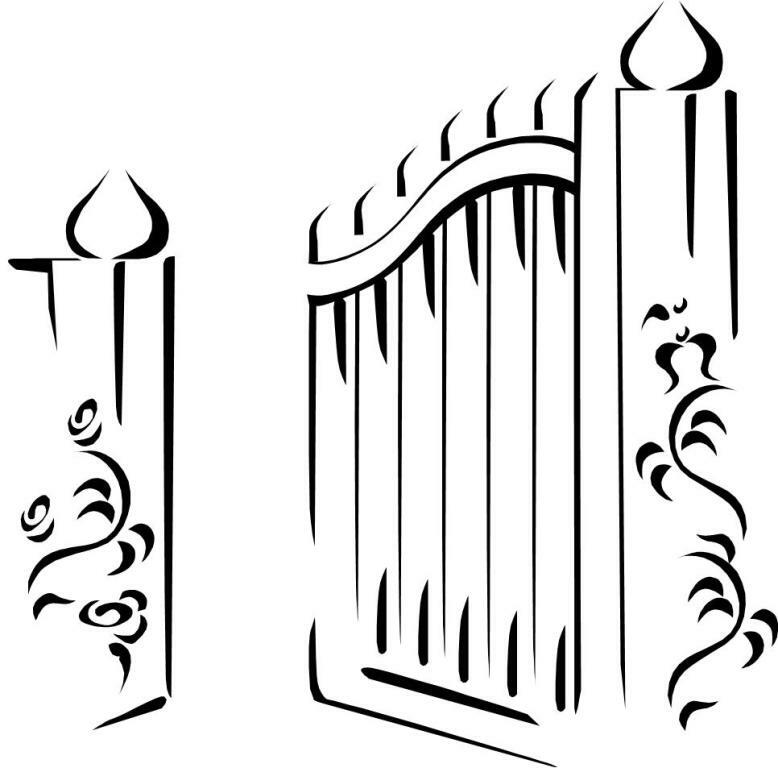 The Men's Club will be doing the annual spring cleaning of the cemetery in April. All decorations that are out-of-season, broken, or otherwise neglected will be thrown away. If you are concerned that we will throw something away you want to keep on a gravesite, please remove it before April 1 and return it after the spring cleanup has occurred. If bad weather keeps us from doing the work in April, the first good-weather Saturday following will be the date the work is done.